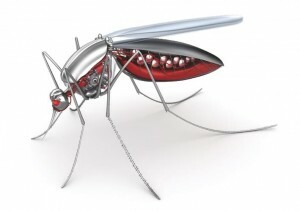 Mosquitoes are among the various insects that are present in our environment. We don’t normally pay close attention to these insects until we suffer from the diseases and viruses they spread. Mosquitoes cause more human ailments than other insects. Over a million people around the world die from mosquito-borne diseases annually. One of the most well-known deadly mosquito-borne diseases is Malaria. This is a potentially fatal blood disease caused by parasites present in mosquitoes that are transmitted to humans and animals through mosquitoes. Malaria is a disease which is caused by the Anopheles mosquito, and a person can get this disease from a bite by an infected mosquito. The plasmodium falciparum parasite can kill red blood cells and it can change adhesive properties of the victim’s cell. This becomes even more dangerous when the infected blood cells stick to the brain capillaries which will then obstruct the flow of blood. This health condition is known as cerebral malaria. The plasmodium parasite is neither a virus nor a bacterium. It is a single-celled parasite that reproduces in an individual’s red blood cells, as well as in the intestine of mosquitoes. When a female mosquito stings a contaminated person, the insect will ingest both male and female forms of the parasite. The two genders of this parasite meet and mate in the mosquito’s intestine. The infective forms are then passed to another individual when the mosquito feeds again. According to studies, about 40% of the world’s population is vulnerable to this disease, especially those living in tropical and sub-tropical regions of the globe. Malaria is not a common disease in the United States, but it can be found in certain regions, such as Africa, Central and South America, and Southern part of Asia. A person can get this mosquito-borne disease if he or she is bitten by an infected insect, or if they receive infected blood from someone while undergoing blood transfusion. Additionally, pregnant mothers can also transmit the disease to their unborn child. Not taking medicine and vaccine shots to prevent malaria before going to other places. This is applicable for those who are travelling. Pulmonary edema- a fatal condition where the fluids build up in the victim’s lungs which can lead to fatal breathing problems. These symptoms may begin 10 days to 4 weeks after infection for some people, although there are also some who may feel ill as early as 7 days or as late as one year. Malaria is a disease that is curable if it is diagnosed and treated immediately. Although it is a curable disease, it is still more practical to avoid contracting the disease altogether. One of the best ways to lower the risk of contracting malaria, aside from getting the necessary vaccines is by eliminating mosquitoes. Getting rid of mosquitoes, especially in rural and urban areas can successfully lower the risk of getting this mosquito-borne disease. Malaria was once widespread in the US and southern Europe, but with proper pest control programs, combined with monitoring and treatment of infected humans, it was successfully treated. Kris Lim is an avid backpacker who knows about the dangers of contracting malaria disease. For this reason, she offers information about this mosquito-borne disease to spread awareness. She also advises homeowners to protect their homes from mosquitoes that might carry parasites that can cause this disease. Homeowners can seek pest control solutions from https://rovepestcontrolreviews.com/ .